Ethel was born in Harrogate, into a strongly committed Primitive Methodist family who came from humble beginnings to make a huge impact on the growth of the church and the life of the town. Her grandfather Robert Annakin was a labourer in the Yorkshire village of Whixley. In 1844, when he was 24, he went along out of curiosity to a prayer meeting, and found that ‘the Holy Spirit enlightened his mind … and enabled him to trust in Christ to the joy of his heart’. He soon became a local preacher, and from then on the Primitive Methodist chapel was the centre of his life, and that of his young family. Robert and Hannah had 14 children, of whom Ethel’s father Richard, was the thirteenth. Richard was only nine when his father died in 1869, when Ethel’s grandmother decided to move with her five sons and nine daughters to Harrogate. They immediately found a home in the Primitive Methodist fellowship there, and the family flourished. Ethel’s father was recognised as a talented musical conductor in the Primitive Methodist church. Richard and two of his brothers were Trustees, and a third brother, Ethel’s uncle George, entered the Primitive Methodist ministry. Richard married Hannah Hymas in 1880, and became a successful businessman, active the life of the town as a Councillor, then Alderman, rising to Mayor in 1930. Ethel, born in 1881, was the eldest of four children. She had two sisters and a brother, and on leaving school, she and her next sister Mabel, went to work for the Post Office. Ethel is described by Philip Snowden’s biographer Colin Cross as a ‘woman of strong will and striking good looks’. She soon decided that she wanted more, and went to Liverpool to train as a teacher at Edge Hill College. In Liverpool, she joined other students in attending Pembroke Baptist Chapel, which had been transformed by its radical minister, Charles Aked into one of the most progressive in the town, attracting an average Sunday evening congregation of over 1,900. It was after hearing Aked’s sermon on ‘Can a Man be a Christian on £1 a week?’ that Ethel Annakin became a Christian Socialist, becoming involved in Aked’s social work in the slums of Liverpool, and promoting teetotalism. The Social Gospel must have resonated with Ethel’s early Primitive Methodist upbringing, and possibly caused some conflict with her parents who, like the Primitive Methodist church in Harrogate, had become middle class. The extent of the move away from the working class roots of the Annakins and other prominent families can be seen in the erection of a new ‘gothic style’ church in Dragon Parade, close to the family’s home, in 1900. This may have been the reason for her family’s opposition to her marriage to fellow Fabian, Philip Snowden, who was also from a Methodist background, in 1905. Ethel and Philip were also members of the Independent Labour Party, and she was in great demand as a speaker. When interviewed by the Blackburn Weekly Telegraph, she said, ‘Our great motto … is liberty, equality of opportunity and fraternity. Our great principle is love.’ She may have been speaking of her own views, or those of the ILP, but her choice of words is fascinating as we can hear the Primitive Methodist voice. Ethel became increasingly active in supporting women’s suffrage. In 1905, she lectured in South Wales on socialism and women’s suffrage, and the following year became one of the national speakers for the National Union of Women’s Suffrage Societies (NUWSS). Led by Millicent Fawcett, this group were known as suffragists, as opposed to the more militant suffragettes, under the Pankhursts. By now Philip had been elected to Parliament, and her strong views influenced his stand on women’s suffrage. 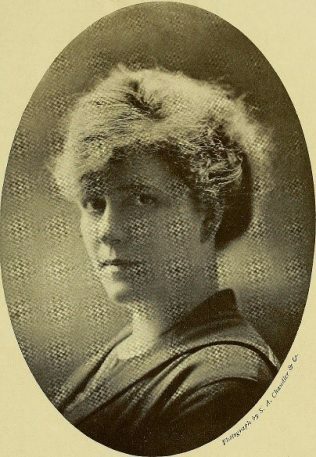 In 1907 she wrote a book called The Woman Socialist, which advocated a state salary for mothers, and declared that under socialism women would have ‘no need to paint face and tint hair’. Campaigning on women’s suffrage consumed her time to the extent that in 1914 she spoke at 200 public meetings. Before the First World War, Primitive Methodism was a pacifist church, and Ethel was a pacifist for most of her life. On the outbreak of war in 1914, Philip and Ethel were on a lecture tour in Canada. They planned to come straight back to Britain, but Philip was advised not to return because of their pacifist views. The Snowdens campaigned for a negotiated peace in 1916, and the following year Ethel organised the Women’s Peace Crusade, speaking to half a million people in the last year of the war. Her main campaign speech was an appeal for men to ‘love’ one another, another echo of her Primitive Methodist roots. After the war, Ethel Snowden was elected to the National Executive of the Women’s Section of the Labour Party, which made her a very prominent figure. In 1920 she was part of a joint TUC-Labour Party delegation to Russia. On her return she was outspokenly critical of what she had seen, which made her unpopular with the left wing of the party. She told a reporter for the Evening Standard, ‘I oppose Bolshevism because it is not Socialism, it is not democracy and it is not Christianity’. She was invited several times to stand for Parliament, but refused to stand against Lady Astor, who had become the first woman MP in Plymouth in 1919. Meanwhile she continued to campaign alongside her husband, who became Chancellor of the Exchequer in 1924. Ethel refused to allow alcoholic drinks to be served at 11 Downing Street, but was known for her tea parties for musical and artistic guests. She was appointed a Governor of the BBC, and a Director of the Royal Opera House. In 1931 Philip became seriously ill, and was awarded a Viscountcy. After his death in 1937 Ethel, now Viscountess Snowden, resumed temperance campaigning, becoming President of the Band of Hope in 1939. Sadly, it seems that the Methodist church, while continuing to support the cause of temperance, lost its voice for peace when it came to war and, while paying lip service to equality, neglected to speak out for women crying out for the right to vote.